When you are busy Networking, We are taking care of your Finances ! Why outsource to Offshore Accountants ? Internet has practically revolutionized the way everyone conducts business and when it comes to accounting and bookkeeping outsourcing services, exceptions are most certainly none. Bookkeeping Monster provides a complete array of bookkeeping and accounting services designed to assist small, mid-sized and large businesses all across the globe. Our primary goal is to help entrepreneurs in ensuring substantial reduction of the time spent on non-essential activities, empowering them to concentrate on the main business functions to boost development and productivity. Our clients save great amount of money by not hiring in-house or local accounting and bookkeeping team to carry out these activities. Our expertise is different from other organizations that offer comparable accounting and bookkeeping services. We offer customized, scalable, cost-effective and safe accounting solutions along with daily access to the financials at any point of time. In case you are going to start a new business or even if you have a well-established business, our bookkeeping services can be used at any time. 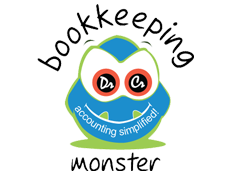 Bookkeeping Monster can offer you a supportive bookkeeping system. As part of our services, you get full access to the services of our experienced and qualified accounting professionals and bookkeeping experts without any need of hiring them in-house or locally. Regardless of the fact that you may have a well structured core business team, it is very much possible that the in-house bookkeeper or the bookkeeper hired locally might not be adequately qualified to handle everything as per the current accounting trends and work processes and at the same time may not also be cost effective. Due to this reason, you can outsource bookkeeping services to us and have peace of mind. We can provide the most productive bookkeeping solutions at reasonable rates. Our well-designed online bookkeeping services will assist you with decreasing costs and would deal with your books proficiently. Simultaneously, Bookkeeping Monster secured web portal access mechanism gives you online access to all the financial statements in real time. Our highly qualified and experienced bookkeepers are well versed with accounting applications including XERO, Quickbooks Online, Clearbooks, Kashoo, SAGE Online, WAVE and various other prominent bookkeeping applications. With cloud based accounting applications, being choice of today's entrepreneurs, we ensure that our team is well experienced using such accounting platforms and add-ons that support use of such applications like: Receipt bank, Shoeboxed and integrators that link various sales platforms with such accounting applications. Bookkeeping Monster values the relationship with our clients by handling work we do in a professional manner. Our experts endeavor to give accurate and timely reports and data for efficient decision making.